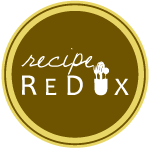 Gearing up for the arrival of another Baby M along with the holidays all while trying to meal plan for a family has me thinking to make this perfectly delicious family favorite originally inspired by Southern Living’s Beer-Braised Pot Roast recipe. This was a recipe my mom found & then made for us shortly after bringing Lillian home almost 3 years ago in January! Everyone just loved this dish; warm, comforting, and just a perfect winter-y dinner that everyone enjoyed. Since then we’ve made it numerous times and even made it our own based on my more simplistic cooking style. I love it because it has all the essentials: lean protein, some veggies, and flavorful sauce that can all be done mostly in a pot for searing and then the slow cooker. It pairs perfectly with whole grain grits (yes, they do exist!) and when your 2 year old daughter who is practically a vegetarian will eat it, then it’s a meal to enjoy and repeat. It’s also freezer friendly! So if you’re not feeding a crowd, eat off of it for a few days, then anything that’s remaining that your ready to temporarily move on from, just add to a ziploc bag, label it, press out any extra air and store flat in the fridge until later. I’ve already made it this fall, but I think I’m going to add it back into the meal plan soon just so I can freeze some and have for an easy meal post baby’s arrival. Sprinkle the roast with salt, pepper, and the coffee grinds. In a large pot or pan (with deep sides at least 2-3 inches), warm the oil over medium heat. Sear the roast until nicely browned on each side (about 3-4 minutes per side- and don’t forget the ends). Place in the slow cooker. In the same pot used to cook the meat, add the tomato paste and garlic, allowing to quickly saute in the drippings for about a minute. Slowly add the stock and beer whisking to get more of the drippings off the bottom of the pan – being careful not to splash and burn yourself. Stir in the beef concentrate and bring to a boil. Reduce heat and allow to simmer for about 10 minutes. In a mixing glass, whisk the vinegar, cornstarch, and a splash of water together. Add to the simmering stock mixture, and allow to simmer for another minute or so. Pour the mixture over the roast in the slow cooker. Top with the carrots and onions. Toss in the rosemary sprigs. Cook on low for 8 hours until the roast is easily shredded with two forks. Serve with warm, cooked stone ground grits, topped with 2% cheddar cheese.